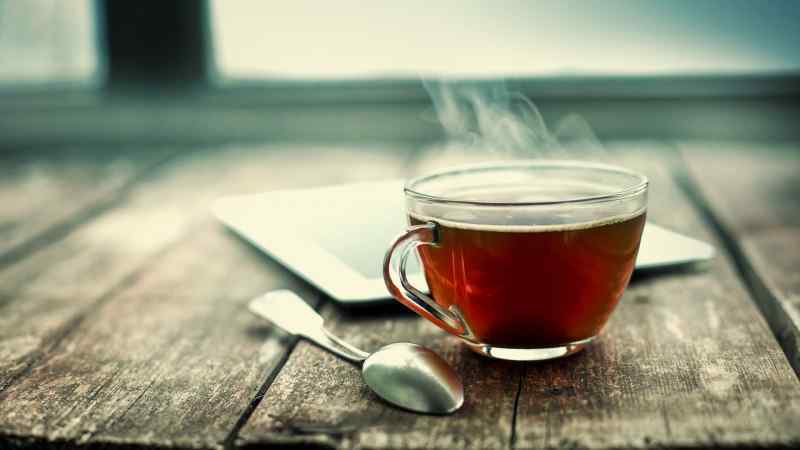 For some people, the morning hasn’t truly begun until they’ve sat down with a cup of hot coffee or tea. 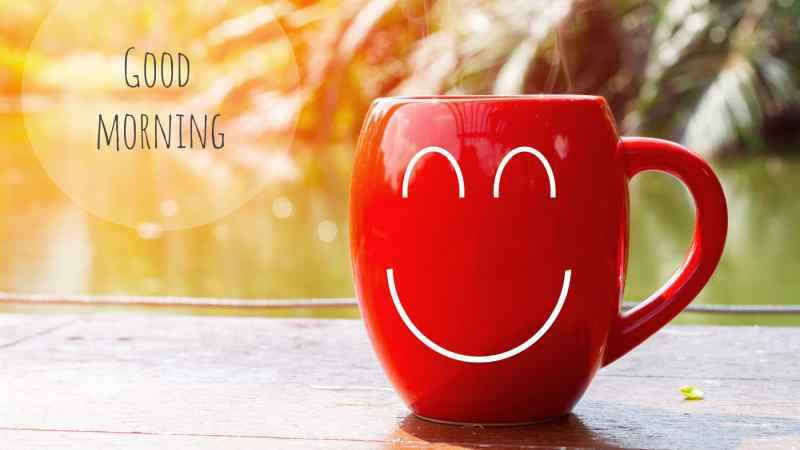 Many people around the world rely on different forms of caffeinated beverages to jumpstart their morning, and put them in a good mood for the start of the work day. 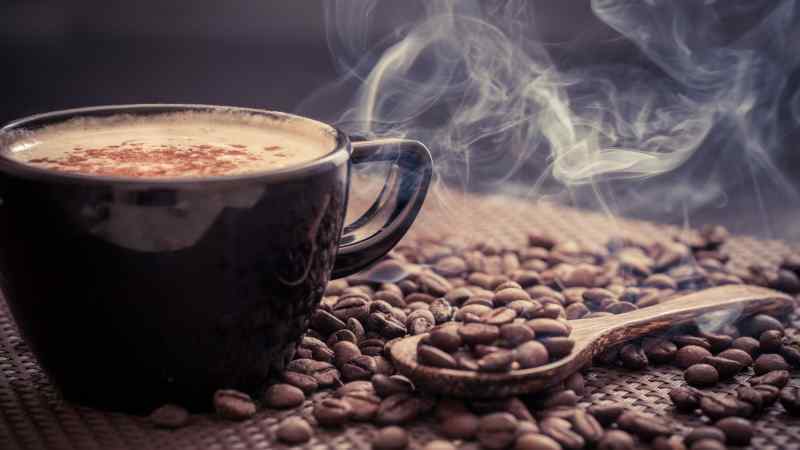 While there has been a lot of research in the last few years about the benefits and drawbacks of caffeine consumption, it’s been hard to separate the fluff from actual research. We’ve synthesized a few points for you here, so you can know that you’re making an informed decision about how you start your morning. Then, we’ll talk a bit about which beverages can give you the best morning boost. Caffeine is a stimulant – there’s no two ways about it. For some, this is the benefit that they seek when they reach for a cup of coffee in the morning. Caffeine makes you feel more awake, and increases your ability to pay attention. If you’ve had caffeine, you’ll also be able to remember more details. This might be because you’re simply more awake to recognize them in the first place. It improves response time and accuracy, and all of these effects are improved when you stimulate yourself with caffeine frequently. Everyone’s been there – you have a cup of coffee with breakfast in the morning, and all of a sudden, you’re on top of the world. You destroy your to-do list, and you’re just about to dive into a full afternoon of work when you hit the dreaded mid-afternoon slump. Caffeine can make you feel more alert in the morning, but once it wears off, you will feel more tired than you would have otherwise. This occurs because caffeine blocks our brains absorption of the sedative chemical adenosine. It wakes us up for a time, but eventually, our brain will increase production of adenosine in order to prepare our body for sleep, which makes us feel exhausted even if it’s only four o’clock in the afternoon. Research has shown that not only does caffeine make you more awake, it can also make you feel more positive. This effect is enhanced when the user makes a regular habit of consuming caffeine. This explains why caffeine can be so addictive. These studies generally only include people who consume a moderate amount of caffeine every day – think 2-3 cups, not 5-10. Caffeine has also been touted as a preventative for several life-threatening health conditions. Caffeine can help protect against liver disease, gout, and can decrease your risk of developing Parkinson’s disease. Our circadian rhythm is the internal metronome on which our body operates. It regulates many functions including sleeping, waking, and eating. There are clear patterns in our brain that correspond with our own unique circadian rhythm, which means that there are certain things that our body does, like produce hormones and regenerate cells, that are only done at a certain time in this cycle. 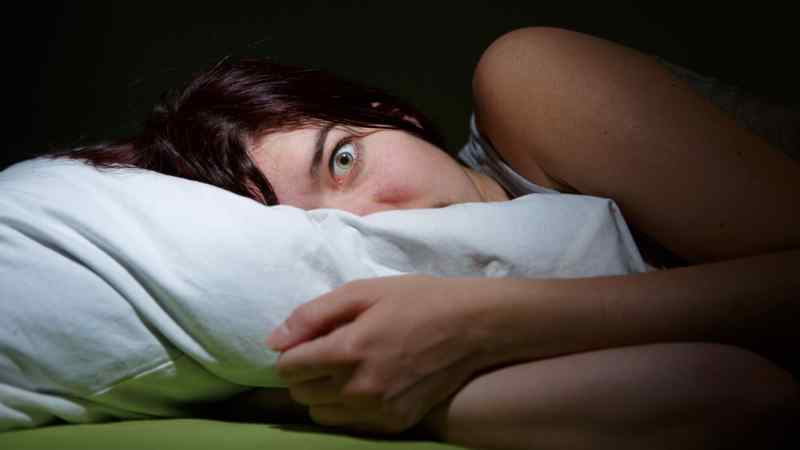 Caffeine, in large amounts, can affect our circadian rhythm, which may make us feel groggy during the day, or cause us to have insomnia later that night. Caffeine seems to be inherent in most hot drinks that we enjoy. Cocoa, tea, and coffee are all full of caffeine. 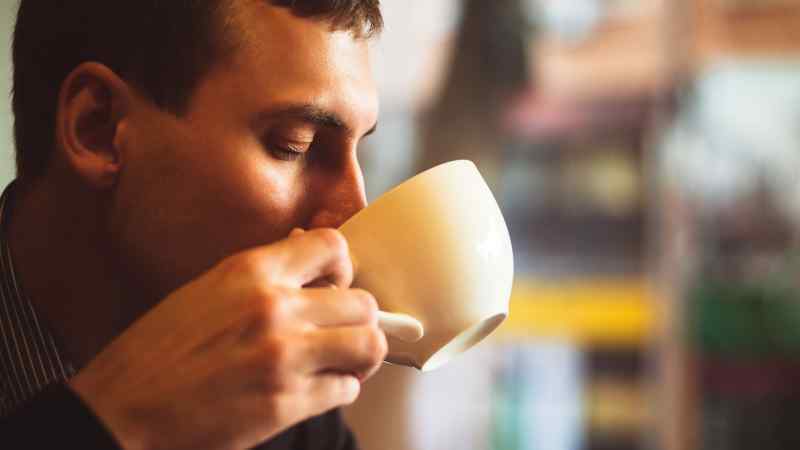 While it might be tempting to read some of the cons on this list and swear off caffeine forever, you’d be removing yourself from the warm and comforting ritual that starts with a hot caffeinated beverage. Almost every culture around the globe has its own unique ritual that’s centered around caffeine. In England or India, the tea break would be completely lost without the central figure of a hot, milky cup of tea. The slow afternoon in places like Turkey or Italy would be incomplete without a steaming cup of black coffee. Caffeine stimulates our adrenal glands, increasing its production of stress hormones, like cortisol, norepinephrine, and adrenaline. Eventually the strain of increased production can cause our adrenal gland to tire, which can throw off our circadian rhythm. 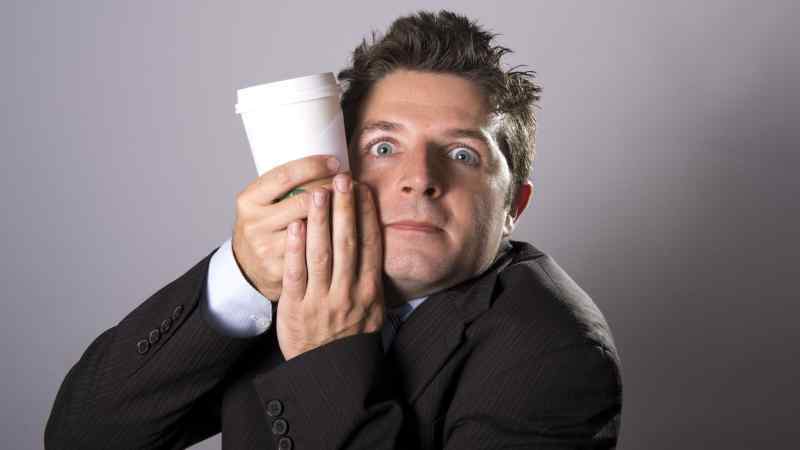 This is the reason why many people find themselves burned out on caffeine. The more you consume, the more it overworks your adrenals and saps your energy. Since caffeine is so intertwined with our stress response, it can eventually start to exaggerate our reaction to stress, and cause us to feel jumpy or anxious. How much caffeine should I be drinking? It’s hard to keep up with all of the different negatives and positives regarding caffeine consumption. At the end of the day, all you can do is stick within the doctor recommended amount per day, and make sure that you’re aware of what’s in your favorite beverage. Caffeinated hot drinks like cappuccinos, lattes, or energy drinks contain way more sugar than we realize. Doctors have confirmed that up to 400 milligrams of caffeine per day is safe and healthy – but only for adults. Caffeine consumption in adolescents and children should be strictly limited. As well, caffeine should never be mixed with alcohol. Caffeine in coffee comes from the green coffee bean, which is roasted then ground. There are many different ways to prepare coffee, and each method of preparation yields a cup of coffee with a variable caffeine content, but it’s generally around 95-165 mg per serving. Coffee becomes more caffeinated the longer the grounds sit in the water, so if you’re looking to cut down on your caffeine intake, reach for a cup of drip coffee instead of a cup prepared using the French press method. And although it might be counterintuitive, if you’re looking for more caffeine, reach for a lighter roast. A long roasting time produces a flavorful dark roast, but also burns off some caffeine in the process. 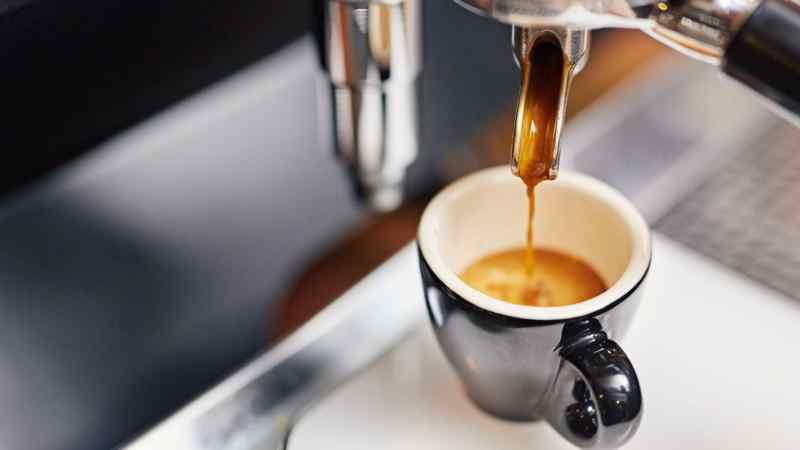 Espresso uses the same beans as regular coffee, but forces almost-boiling water and steam through compacted coffee beans at a much higher pressure than regular coffee, so it creates a more concentrated and intense brew. As you would expect, espresso contains much more caffeine per serving than coffee, but since you generally drink a very small cup of espresso, the overall caffeine content ends up being less per drink. The average cup of espresso contains only about 47-64 mg of caffeine. The ideal cup of espresso should be intense but not bitter, so you don’t generally need to add sugar. 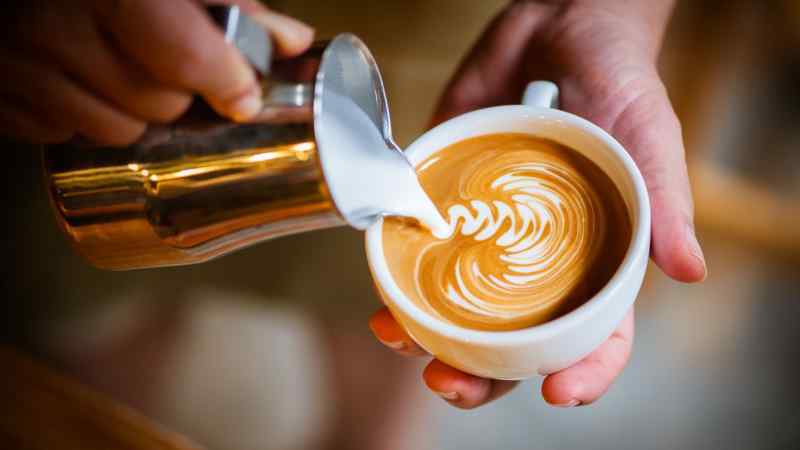 Specialty drinks like a latte, cappuccino, mochaccino or any other type of ccino generally contain a single shot of espresso, topped off with steamed milk, foam, chocolate – really any sweet addition you can think of. Some larger specialty drinks may have up to two shots of espresso, but generally if you’re ordering a small (8 oz) size, you’re only going to get one shot. The rest is made up of different combinations of steamed milk, frothed milk, and sugar. Typically, lattes and cappuccinos contain around 150 mg of caffeine per medium (12 oz) serving. From the most ethereal green and white teas, to earthy and rich black tea, there are uncountable varieties of tea in the world. Like coffee, the amount of caffeine in a cup of tea depends on the brewing time. 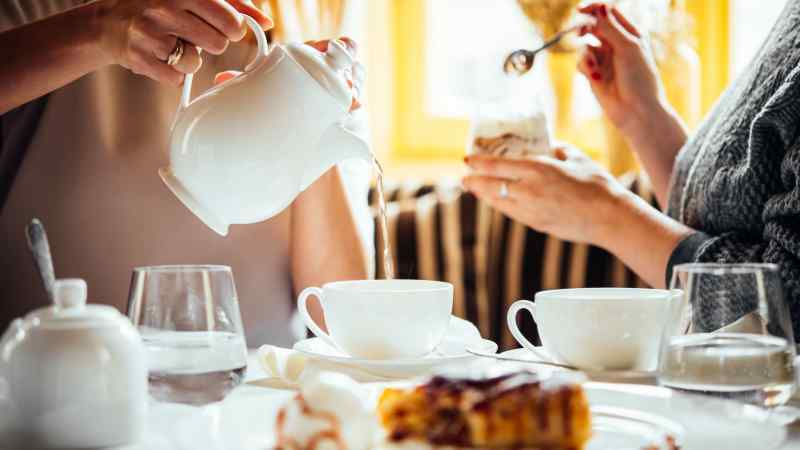 However, tea is unique because each different type of tea contains a different amount of caffeine. 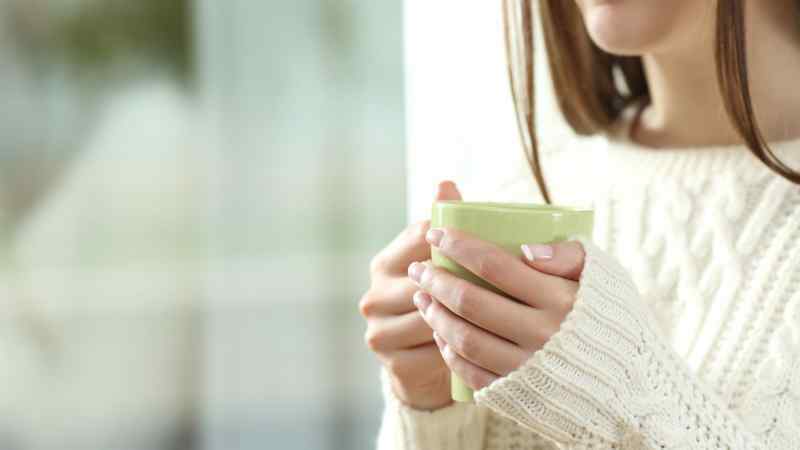 On the lighter end of the spectrum is white and green tea, which contain 30-70 mg of caffeine per small cup. Oolong tea is in the middle, with 50-75 mg of caffeine per cup. Black tea contains 60-90 mg of caffeine per cup. If you’re not the hot beverage type, you’ll probably reach for a soda (or pop, depending on where you’re from) to get your daily caffeine fix. 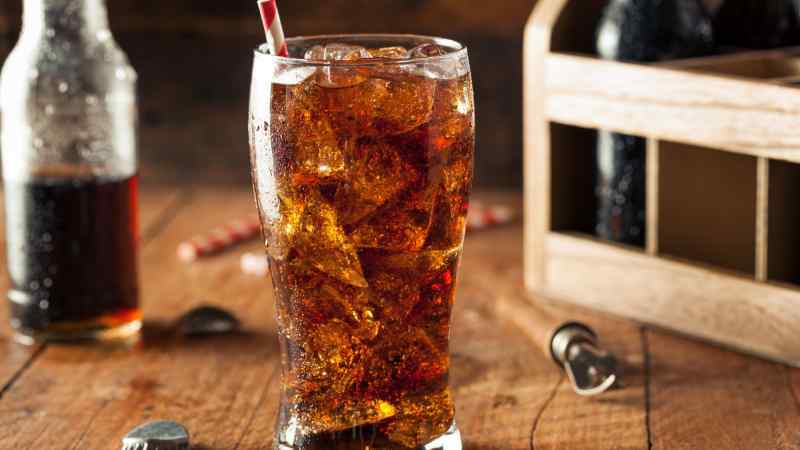 The problem with soda is that in addition to all that caffeine, it contains a large amount of sugar. Caffeine in soda varies between brand, but you’re generally looking at around 35-57 mg per can. Energy drinks are like soda on steroids including more caffeine and more sugar, which makes your buzz last much longer than regular caffeinated drinks. Most of the time, when we’re exposed to freezing cold water, it’s because we’re in a hurry or the hot water in our home has gone out. 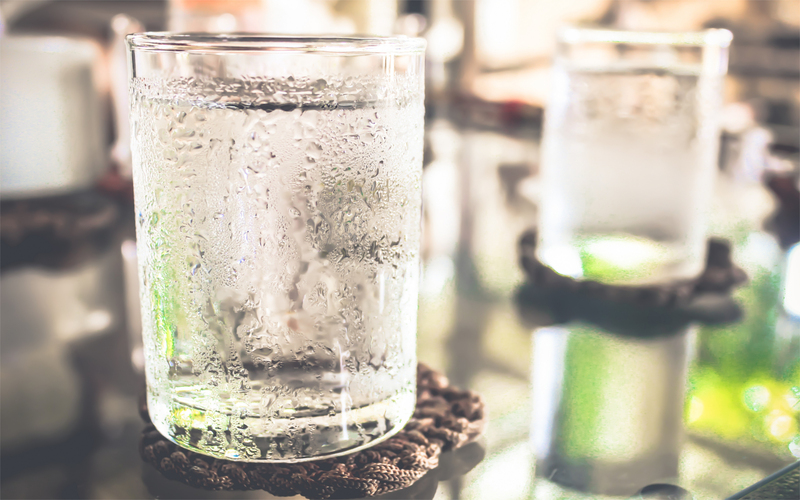 However, what if we were to tell you that drinking and bathing in icy cold water is actually super-beneficial to your health? Exposing the insides and outsides of our bodies to ice-cold water can have real health benefits. There are a lot of different reasons why someone might choose to go vegan. Some choose to eat a plant-based diet because they don’t believe in eating animals or supporting the cruel practices of the modern meat industry. Others make the choice based on the fact that shunning meat can greatly reduce your ecological footprint. 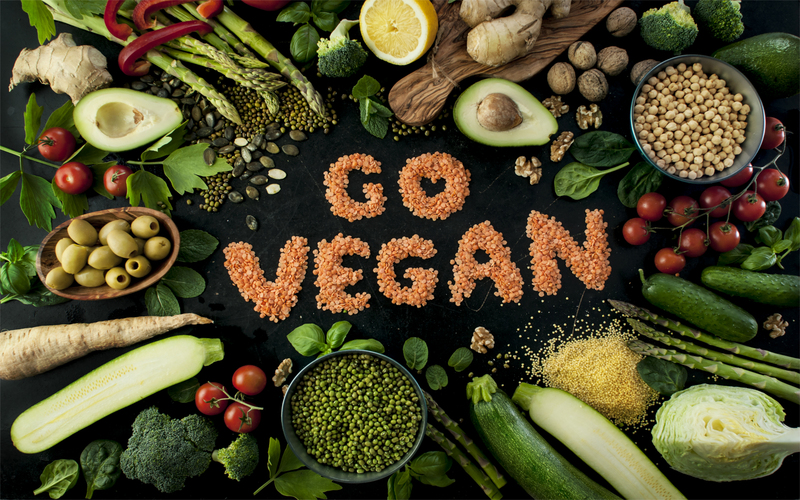 Some simply choose to eat vegan in order to live a healthier lifestyle. 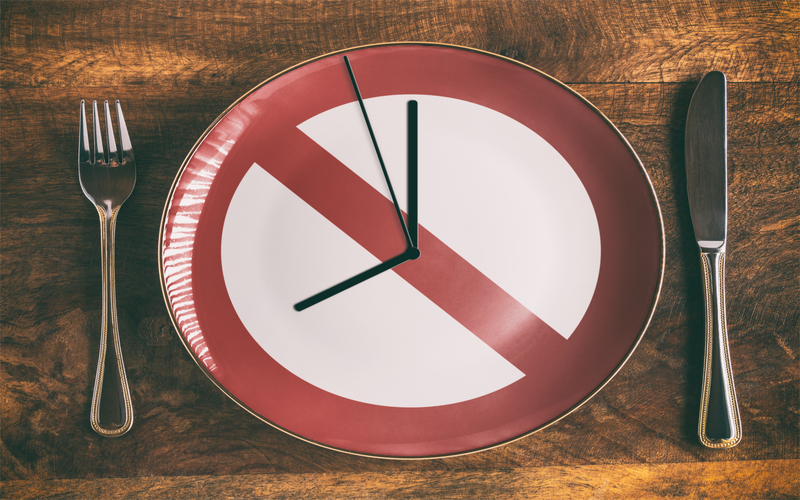 As of late, a popular health concept that has hit the main stream is intermittent fasting, a pattern of eating where individuals go without food for periods of time within a week. There are no food restrictions. However, there are restrictions around what time a person can eat. Non-caloric beverages such as water, tea, and coffee are also allowed at any time. 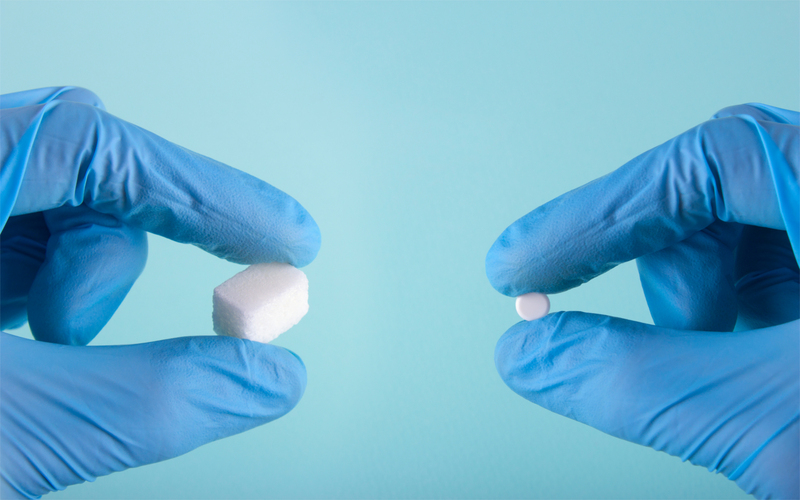 If you’re contemplating exchanging white sugar for artificial sweeteners, you’re not alone. There are tons of people right now who are trying to figure out which choice is right for their lives. To make your decision easier, we’ve come up with some pros and cons of using artificial sweeteners. Read on so you can make an informed dietary decision.